Earn up to 192 reward points. You'll never be at a loss for the right chord with this book! This truly innovative resource for today's musician contains hundreds of common, useful chords for both guitarists and keyboard players. 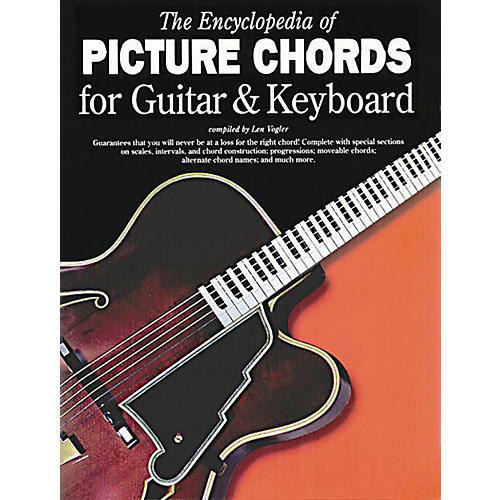 Each chord is presented in clear hand-position photographs and easy-to-read keyboard and fretboard diagrams. The book also includes special sections on scales, intervals and chord construction; progressions; moveable chords; alternate chord names; and more.